A northeast Iowa man is charged with killing his adult son. 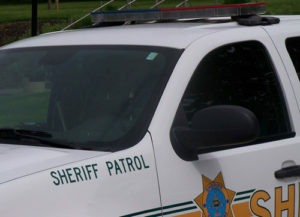 Just before 5:30 P.M. Friday, the Bremer County Sheriff received a call from Buchanan County authorities, on the report that a person may have been stabbed and was critically hurt. Bremer County deputies arrived at the rural Fairbank address and found 36-year-old Brock Niebuhr of Dike on the floor of the home, suffering from a gunshot wound to the head. First responders at the scene asked 59-year-old Daniel Niebuhr of Fairbank, the father of Brock, what was going on. He stated that he had shot his son. During an interview with law enforcement, Daniel Niebuhr admitted to walking up from behind Brock and shooting him in the head while Brock was sitting on the couch watching television.